Tripomatic. Not the first word that springs to mind when considering an ancient English Oak. 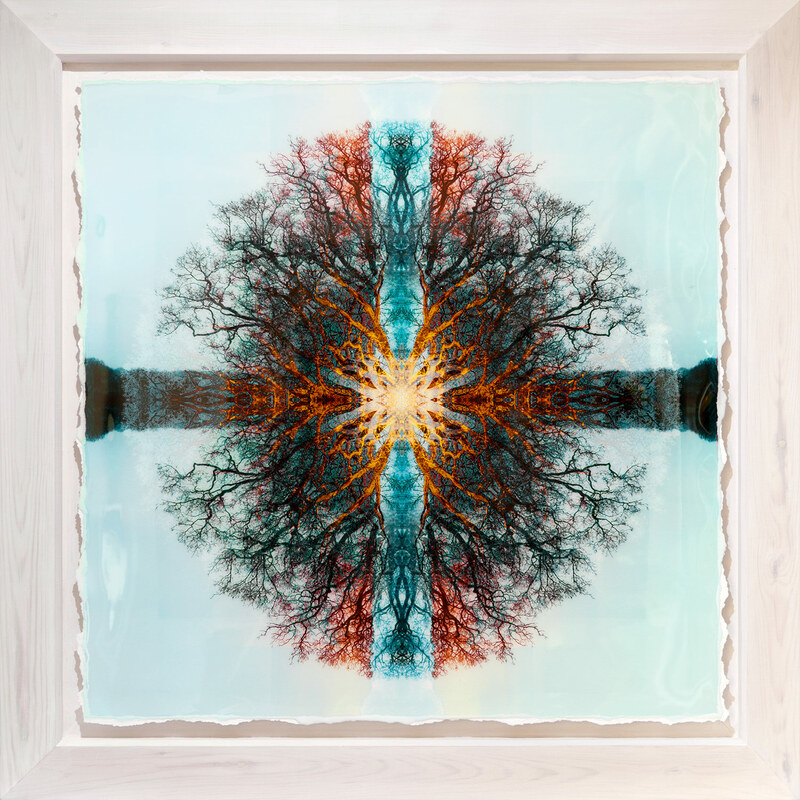 The Symmetree series has taken several visual directions, which push beyond the bounds of a traditional interpretation of the rural landscape that the Badsell Oak once stood in. Tripomatic is borrowed from the 1993 Jam & Spoon album Tripomatic Fairytales. For me there’s an affinity with the regular, ‘four to the floor’ club rhythms and often complex overlaid textures. The ‘four’ becomes the four folding lines of symmetry allowing the architecture of the branches to create the textures. ‘Ah yes, but what about the light?’. Well, I would consider that a throwback to youth, like the lights in a club that are part of an atmosphere to induce euphoria, to create an escape. They evoked that similar feeling of the stroboscopic light caught between the oak tree limbs as you walk under them on a bright day. It dazzles the senses by flooding your thoughts and suspending the moment, like tripomatic moments burnt to memories. Legendary! Tripomatic Legend I & II can be viewed at the Clifton Fine Art gallery in Bristol.